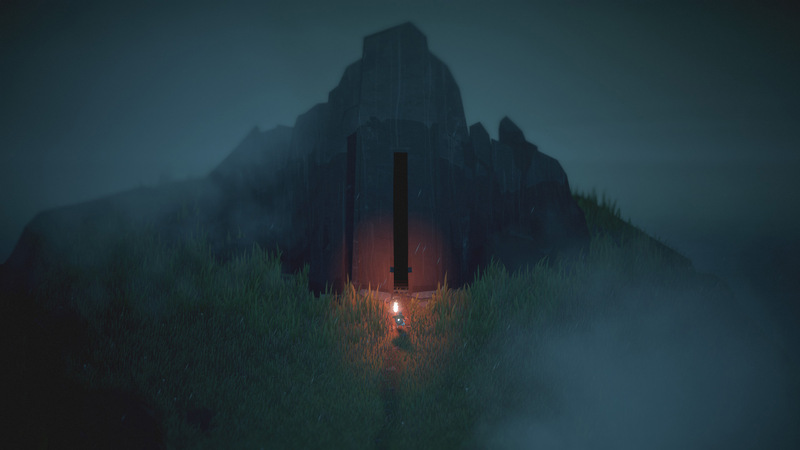 Below, the long-awaited new adventure from Sword & Sworcery and Super Time Force developer Capybara Games, isn't quite the game I expected it to be. 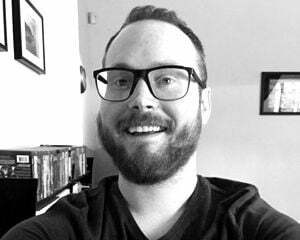 Part of that is on the project's initial secrecy, and part of that is on me for deciding after multiple delays that I'd just stop paying attention to any new tidbits coming out and instead simply show up on launch day, ready to be pleasantly surprised. If you're expecting a pretty little zoomed-out Dark Souls or a Zelda-like romp with a heavy emphasis on combat, you will be disappointed. Some of their best elements -- like a knack for well-placed secrets and a fully-realized, believable world -- make it in. And while you do have a sword, a shield, a bow, and other possible weapons at your disposal, Below is much more about exploration. You're a fragile little survivor, not an unstoppable hero. To that end, the game leans into permadeath. Hard. I'm not far enough along for a final assessment, but after 11 hours, I've seen some real highs and lows. The first six hours or so were incredible for me. If there's one thing Below nails -- and it absolutely, consistently does -- it's a sense of atmosphere. Not just in the look of the world, which employs a sort of tilt-shift effect to draw your gaze and make you feel like an insignificant speck, but also in the sleek user interface, the convincing sound design, and of course the righteous soundtrack by Jim Guthrie. 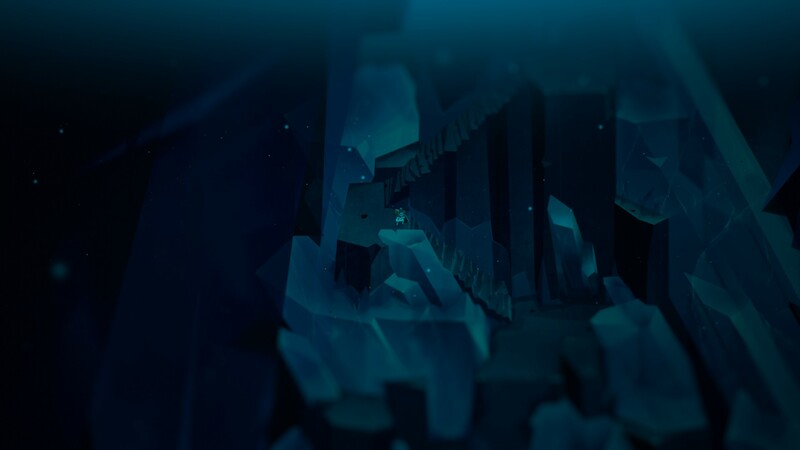 I can't say enough good things about Below's presentation. It exceeded my high expectations. That's not to say it doesn't feel good to play, too. It does. The character movement and sword slashing and shield bashing are tuned just right. That said, combat isn't really the main draw. After an ominous opening sailing sequence, your nameless wanderer is dumped ashore, compelled by an unknown motive to delve deep below the surface. At first, the island seems full of possibilities. You'll find some basic crafting items, a campfire, and eventually a lantern. The latter is where things get interesting. The lantern emits an ambient glow that makes navigating Below's dark dungeons significantly easier. It can open up otherwise-impassible barriers. It even highlights spike traps and tripwires. In return, all you need to do is keep the device fueled by killing shadowy creatures who roam the dungeon floors and drop precious bits of light. But there's a catch: when you die, you die for good, and the lantern is inaccessible until your next would-be hero works their way aaaallllllll the way back down to pick it up. Sometimes, this isn't a big deal. You can spend 25 bits of light at campfires to create one-time-use warp points, and Below also offers a handful of regularly scheduled shortcuts that permanently connect the starting zone to much deeper floors. Other times, losing your lantern is absolute hell. When I died in a very inconvenient place about six hours in, my progress screeched to a three-hour halt. Without getting into spoilery specifics, the area has an unstoppable presence that haunts you in every room, as well as pesky new enemies that never seem to quit coming. Worth pointing out: while Below tells you which floor your lantern and previous body are stranded on, the game uses semi-randomized floor layouts. You don't know which room is the room until you enter it. I should probably also mention that there are hunger and thirst meters that need to be topped up. This isn't a huge hurdle in and of itself, but the survival elements do necessitate extra planning and preparedness on long treks. I eventually got out of the jam and have since seen super cool stuff that has rekindled my affection for Below. But man. That incident nearly killed the game for me. If only there were a way to, say, pay a modest fee to fetch the lantern. I would throw so many bits of light into a wishing well. It might sound like I've made up my mind about Below, but I haven't. Yes, it's too harsh for its own good and that can lead to far too much repetition, but until I reach the end, I won't know if my struggles were ultimately worth it or not. If you happen to be an Xbox Game Pass subscriber, I'd implore you to play this -- but only until you've had your fill. The opening hours are magical and rife with discovery.